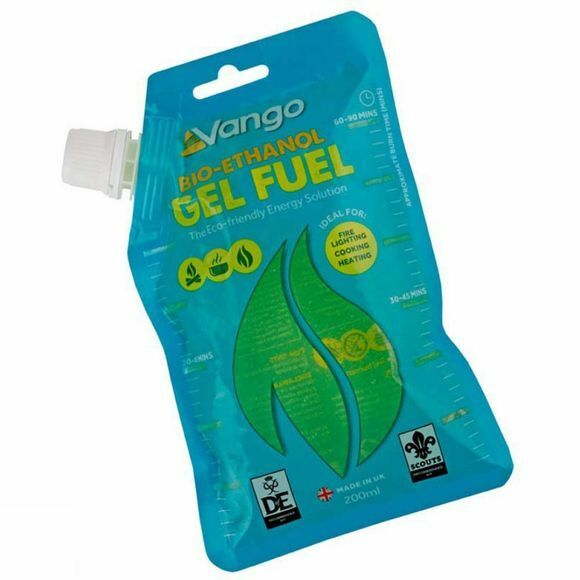 The 200ml Fuel Gel from Vango is a smokeless, non-toxic and environmentally-friendly cooking fuel. The gel formulation doesn’t spill, making it far safer than the alternative fuels on the market today. Developed specifically to address the problem of indoor air pollution in Africa, it’s easy to ignite and allows for instant high heat cooking. The nozzle on the pouch can also connect to a 1 litre refill pack, and allows for easy replenishing of the gel.